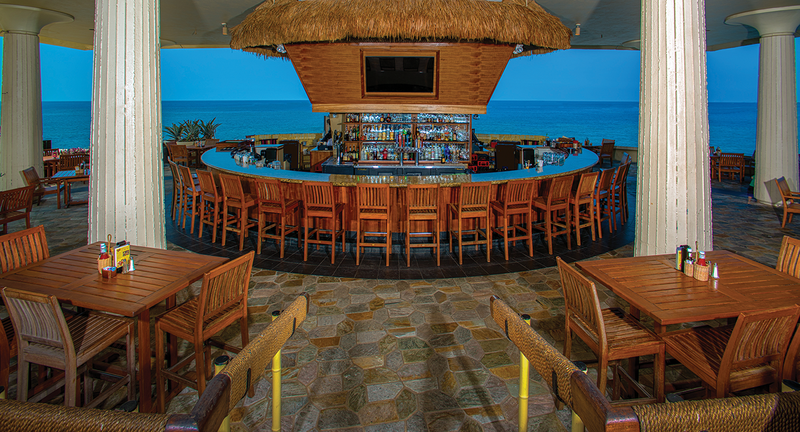 The largest open-air, oceanfront bar in Kailua-Kona, Don’s Mai Tai Bar offers a dramatic setting against the backdrop of Kailua Bay. Enjoy a beautiful Hawaiian sunset while sipping one of Don’s world famous Mai Tais or select from a list of 14 draft beers including local handcrafted micro brews and international favorites. Don’s features a variety of classic Tiki cocktails from modern masterpieces to timeless Beachcomber Rhum Rhapsodies from Don’s extensive library of potions. On Thursdays, check out the Legends of Hawaiian Music concert series featuring Hawai‘i’s best including Henry Kapono, John Keawe, Ledward Kaapana, and Brother Noland from 5 to 7pm. Sundays, don’t miss award winning Sean Wilkinson on the vibraphone.